This beautiful home located on Indys iconic Meridian street is sure to impress. You will be welcomed by the stunning curb appeal as you enter your new masterpiece. Once inside the home comes alive. Hardwood floors throughout, spacious living room w/ wood burning fireplace and impeccable dining space just to name a few. You will enjoy the seasonal views through the 2 large bay windows located on the front of the house. Kitchen includes ceramic tile and granite counter tops. Upstairs are 2 over sized bedrooms with walk in closets! Basement boast plenty of space for small office and laundry. Huge back yard with sliding rear fence for additional guest parking for those seasonal parties. Directions:Meridian St., two blocks north of Kessler on the west side of the street. SchoolsClick map icons below to view information for schools near 6128 N Meridian Street Indianapolis, IN 46208. Home for sale at 6128 N Meridian Street Indianapolis, IN 46208. Description: The property at 6128 N Meridian Street Indianapolis, IN 46208 in Marion county with the BLC / MLS 21618422 is currently listed for $247,000 and has been on this site for 66 days. 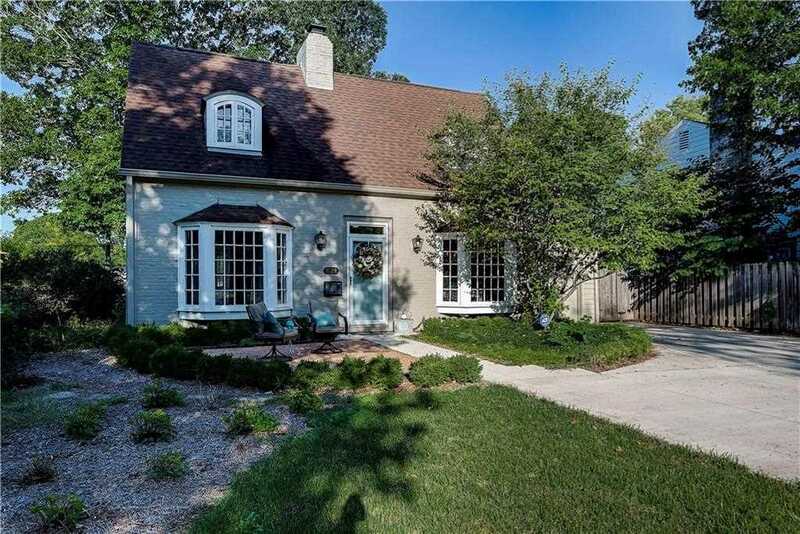 You are viewing the MIBOR listing details of the property for sale at 6128 N Meridian Street Indianapolis, IN 46208, which features 2 bedrooms and 2 bathrooms, and is approximately 1846 sq.ft. in size.